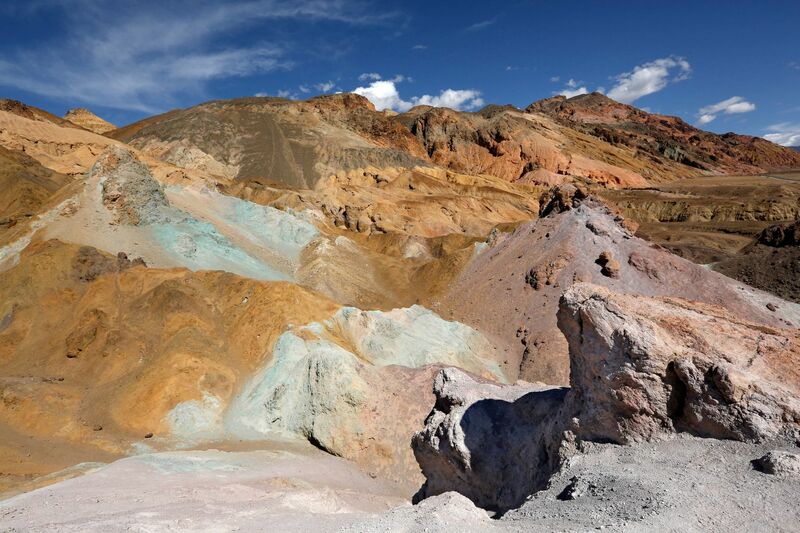 The Artists Palette, Death Valley National Park is one of the more unique things you can see in the area. It forms part of the Artist's Drive which takes you through canyons and past mountains, many of which are covered in loads of fantastic colours. It's not a long drive but well worth the trip.